The stage is set for what promises to be the party of the year, as Hard Rock Cafe Baku hosts its highly anticipated grand opening event! 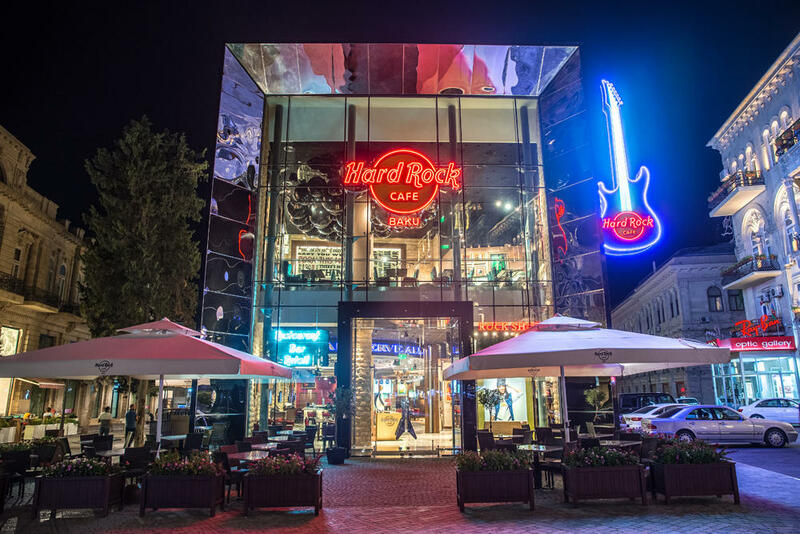 On Friday, December 16, 2016, Hard Rock officially celebrates the grand opening of its Baku location with a live performance by punk rock legend Marky Ramone, kicking off at 8 p.m. This exclusive event will feature additional special guests like legendary “Yuxu Band”. A media meet highlighting the grand opening of Hard Rock Cafe Baku was held earlier in the day at 3 p.m. and featured Hard Rock International executives, as well as local partners. The two-floor, 1350-square-meter cafe, situated in the 20th Century Cinema Center on 8 Aziz Aliyev Street, offers seating for 400 guests and features external and internal dining areas, two spacious bars, a magnificent terrace and private event spaces. The new cafe also boasts a live music stage that will feature the best in live music and entertainment from Baku and around the globe. 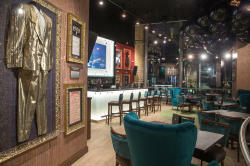 Hard Rock Cafe Baku offers a unique look at the history and future of music, with an entirely new memorabilia collection featuring items from legendary and contemporary musicians from around the world. 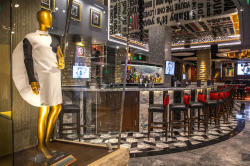 Guests of Hard Rock Cafe Baku can enjoy fresh, high-quality items from Hard Rock’s menu, including the fan-favorite Legendary Experience, featuring a mouth-watering selection of burgers. Hard Rock’s Smokehouse Menu uses the very best Hickory wood chips to slowly cook its ribs, chicken and pork to juicy, tender perfection. In addition to its food, Hard Rock Cafe’s extensive, award-winning drinks menu includes Hurricanes, Margaritas, signature favorites and Alternative Rock (alcohol-free) beverages, all available in Hard Rock souvenir collectible glassware. 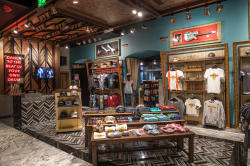 The Baku cafe’s Rock Shop will offer music-inspired items, as well as collectible Hard Rock Cafe merchandise. Baku-specific merchandise can only be purchased at this retail location, which offers an exclusive design quality that enhances each item’s appeal. Fans can also acquire Hard Rock’s much-coveted signature pins. Since it was established in 1971, Hard Rock has been committed to a wide variety of philanthropic causes and activities around the world. In every Hard Rock city, the staff makes it a priority to become a valuable community partner, and Hard Rock Cafe Baku looks forward to continuing this tradition. With venues in 74 countries, including 174 cafes, 24 hotels and 11 casinos, Hard Rock International (HRI) is one of the most globally recognized companies. Beginning with an Eric Clapton guitar, Hard Rock owns the world's greatest collection of music memorabilia, which is displayed at its locations around the globe. Hard Rock is also known for its collectible fashion and music-related merchandise, Hard Rock Live performance venues and an award-winning website. HRI owns the global trademark for all Hard Rock brands. The company owns, operates and franchises Cafes in iconic cities including London, New York, San Francisco, Sydney and Dubai. HRI also owns, licenses and/or manages hotel/casino properties worldwide. Destinations include the company’s two most successful Hotel and Casino properties in Tampa and Hollywood, Fl., both owned and operated by HRI parent company The Seminole Tribe of Florida, as well as other exciting locations including Bali, Chicago, Cancun, Ibiza, Las Vegas, Macau and San Diego. 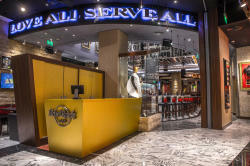 Upcoming new Hard Rock Cafe locations include Valencia, Shanghai, Yangon and San Juan. New Hard Rock Hotel projects include Abu Dhabi, Atlanta, Berlin, Dubai, London, Los Cabos, New York City, and Shenzhen, Dalian and Haikou in China. 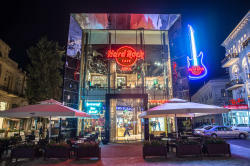 For more information on Hard Rock International, visit www.hardrock.com.